-- When Feno Chemical spilled an experimental pesticide in rural Iowa, scores of people died. Those who survived contamination were herded into a US Army medically maintained quarantine and cut off from the world. Dosed with powerful drugs to combat the poison, their bodies give off a sickly sweet smell and the containment zone becomes known simply as Flowertown. Seven years later, the infrastructure is crumbling, supplies are dwindling, and nobody is getting clean. Ellie Cauley doesn’t care anymore. Despite her paranoid best friend's insistence that conspiracies abound, she focuses on three things: staying high, hooking up with the Army sergeant she's not supposed to be fraternizing with and, most importantly, trying to ignore her ever-simmering rage. But when a series of deadly events rocks the compound, Ellie suspects her friend is right—something dangerous is going down in Flowertown and all signs point to a twisted plan of greed and abuse. She and the other residents of Flowertown have been betrayed by someone with a deadly agenda and their plan is just getting started. Time is running out. With nobody to trust and nowhere to go, Ellie decides to fight with the last weapon she has—her rage. Flowertown is a high-intensity conspiracy thriller that brings the worst-case scenario vividly to life and will keep readers riveted until the final haunting page. 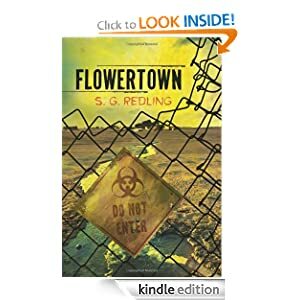 Flowertown or to sample this book for FREE! For as long as she can remember, twelve-year-old Emily Windsnap has lived on a boat. And, oddly enough, for just as long, her mother has seemed anxious to keep her away from the water. But when Mom finally agrees to let her take swimming lessons, Emily makes a startling discovery - about her own identity, the mysterious father she's never met, and the thrilling possibilities and perils shimmering deep below the water's surface. With a sure sense of suspense and richly imaginative details, first-time author Liz Kessler lures us into a glorious undersea world where mermaids study shipwrecks at school and Neptune rules with an iron trident - an enchanting fantasy about family secrets, loyal friendship, and the convention-defying power of love. 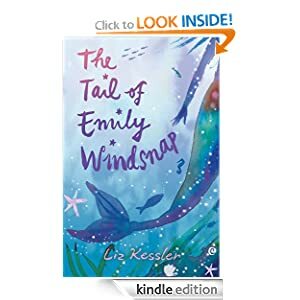 The Tail of Emily Windsnap or to sample this book for FREE! My name is not easy. My name is hard like ocean ice grinding the shore . . . Luke knows his Iñupiaq name is full of sounds white people can’t say. So he leaves it behind when he and his brothers are sent to boarding school hundreds of miles away from their Arctic village. At Sacred Heart School, students—Eskimo, Indian, White—line up on different sides of the cafeteria like there’s some kind of war going on. Here, speaking Iñupiaq—or any native language—is forbidden. And Father Mullen, whose fury is like a force of nature, is ready to slap down those who disobey. Luke struggles to survive at Sacred Heart. But he’s not the only one. There’s smart-aleck Amiq, a daring leader — if he doesn’t self-destruct; Chickie, blond and freckled, a different kind of outsider; and small, quiet Junior, noticing everything and writing it all down. They each have their own story to tell. But once their separate stories come together, things at Sacred Heart School—and the wider world—will never be the same. 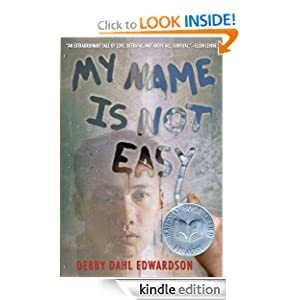 My Name Is Not Easy or to sample this book for FREE! -- The Hierarchy, high priests of the religious order the Light, has installed King Ethan as the monarchical figurehead, ruling both the magical kingdom of Albi and its predominant religion. Scattered throughout the land, worshippers in the old ways of the Earth Mother are persecuted as heretics. And when young missionary student Rollo Woodbridge returns home to Albi, he is immediately arrested for heresy and treason, setting off a chain of events that plunges the land into utter chaos. The Hierarchy has more treacherous motives, however, and when Rollo is rescued from jail, his family’s home is destroyed—but Rollo and his siblings are left alive. While Rollo tries diplomacy to end the religious and political conflict, his brother and sister swear vengeance. With the hours to deliverance counting down and their lives hanging in the balance, they must decide whether to stay and fight or leave Albi forever in the suspenseful, action-packed Against the Light. 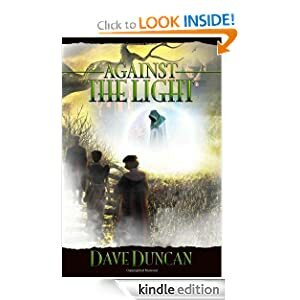 Against the Light or to sample this book for FREE!